Albert “Jerry” Robinson, age 78, of Seaford, DE passed away on Tuesday, September 9, 2018. Jerry was one of 10 children born to the late Earl and Mary Alice Robinson. He was a painter, worked with his brother Cliff painting, was a distributer for Joy Dog Food. 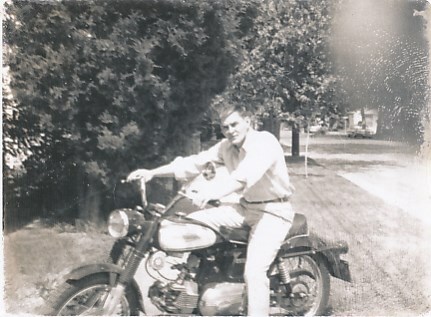 He loved motorcycles, fishing and boating. He is survived by a brother, Jamie Robinson, 2 sisters, Shirley Willoughby and Phyllis Elliott and many nieces and nephews. Funeral Services will be on Monday, September 10th at 2 PM at the Cranston Funeral Home, where friends may call from 1 to 2. Burial will be in Blades Cemetery.